A soloist and chamber musician, founder of two ensembles dedicated to the performance of Spanish and European Renaissance and Baroque music – La Romanesca and Orphénica Lyra – José Miguel Moreno is recognized worldwide as an original instrument and early music specialist. 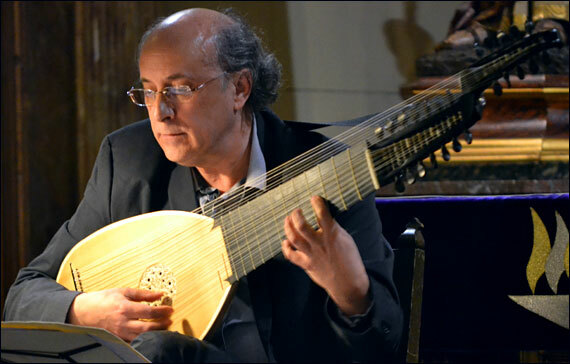 He plays the vihuela, a flat-backed stringed instrument contemporaneous with the lute, as well as Renaissance and Baroque guitars, lute, theorbo, and Romantic guitar. His performances display not only extraordinary mastery of his instruments, but also reflect his deep knowledge of period performance and extensive research into the construction of early plucked string instruments. He has appeared in festivals and recitals around the world, collaborating with such artists as mezzo-soprano Teresa Berganza and gambist Jordi Savall.